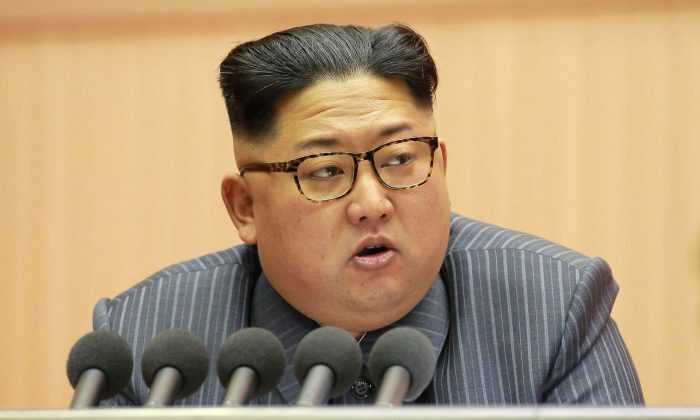 SEOUL—North Korea is willing to hold talks with the United States on denuclearization and will suspend nuclear tests while those talks are under way, the South said on Tuesday after a delegation returned from the North where it met leader Kim Jong Un. North and South Korea will also hold their first summit in more than a decade next month at the border village of Panmunjom, the head of the delegation, Chung Eui-yong, told a media briefing. “North Korea made clear its willingness to denuclearize the Korean peninsula and the fact there is no reason for it to have a nuclear programme if military threats against the North are resolved and its regime is secure,” the head of the delegation, Chung Eui-yong, told a media briefing. He also cited the North as saying it would not carry out nuclear or missile tests while talks with the United States were underway. North Korea has not carried out any such tests since November last year. North Korea has regularly vowed never to give up its nuclear programme. Following the tightening of international sanctions, proposed by U.S. president Donald Trump, North Korea started to open up diplomatic channels with South Korea, sending athletes and delegates to the Winter Olympics. 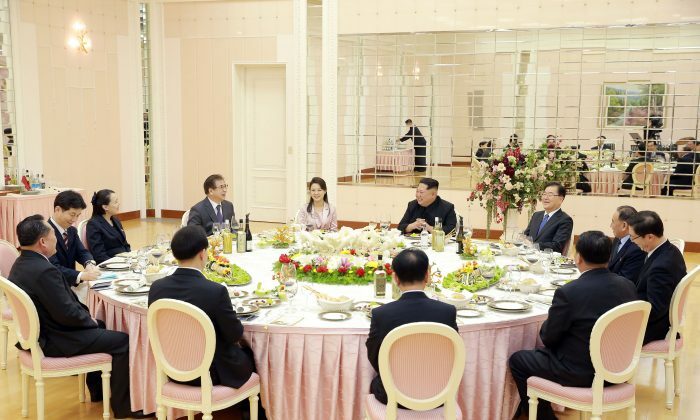 The agreement came on the heels of a visit made by a 10-member South Korean delegation led by Chung to the North Korean capital, Pyongyang, on Monday in hopes of getting North Korea to the negotiating table with the United States. North Korea has boasted of developing nuclear-tipped missiles capable of reaching the United States, in defiance of U.N. Security Council resolutions. Both North Korea and the United States have said before they are open to talks but the U.S. position has been that dialogue must be aimed at North Korea’s denuclearization, something Pyongyang has rejected. 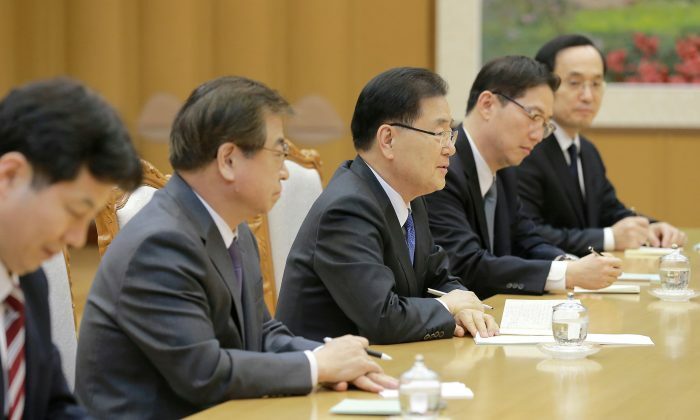 Moon has also remained vigilant against North Korea’s weapons ambitions, saying on Tuesday South Korea should bolster its defences in tandem with talks with Pyongyang.